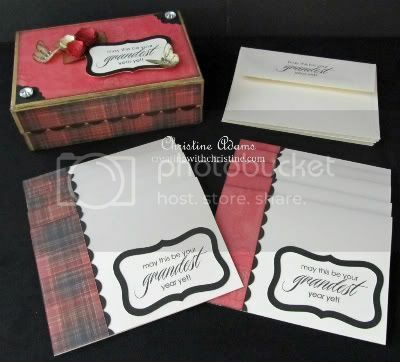 This month's creative club project features our new My Creations Card Box. I just LOVE these little boxes! You can do so much more with them than just cards! In fact, I've made several already and this the first one I've made for cards! The box top features some of our new Just Blooms butterflies, some rockin' bling buttons and the rest is ALL from our new Art Philosophy Cricut Cartridge - brackets, leaves, 3-D flowers, sentiment frame, as well as the scalloped edge on the front flap. 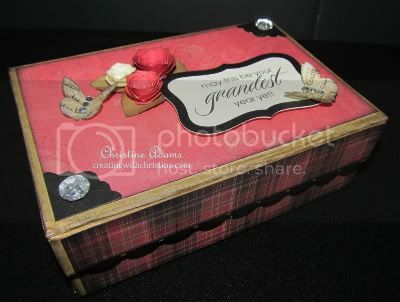 The inside of the box is finished and holds 10 coordinating cards/envelopes! These cards are very simple. 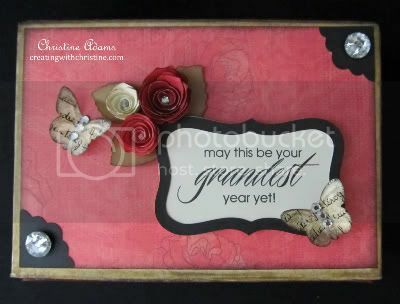 I LOVE the sentiment - could be used for birthday, congratulations, graduation, new year, almost anything! 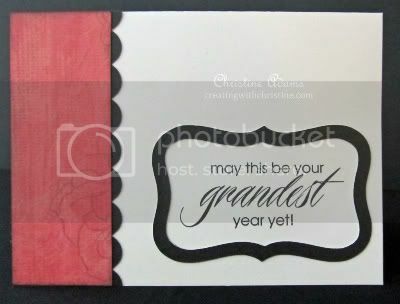 It's from one of my favorite new stamp sets called Hooray Bouquet! 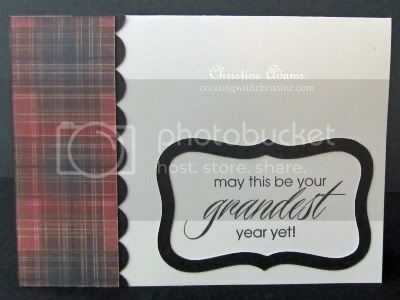 The plaid card would even be appropriate for a guy - making this a very practical workshop or gift! I'd love to have you join me on Friday, September 23rd at 6:30pm for this workshop. 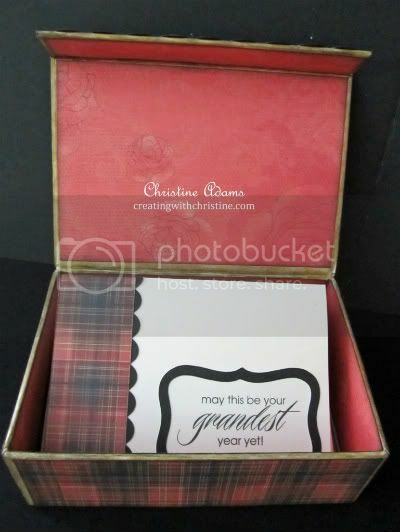 The cost is only $15 for the box plus 10 cards/envelopes - OR only $10 when you place an order of $25 or more that night!